HERE IS A BEAUTIFUL 2015 LAND ROVER LR4 HSE. FINISHED WITH A SANTORINI BLACK METALLIC EXTERIOR AND EBONY LEATHER INTERIOR. DRIVEN JUST 24,889 CAREFUL MILES SINCE NEW. OPTIONS ON THIS LR4 INCLUDE THE HSE PACKAGE, FACTORY NAVIGATION SYSTEM, REAR BACKUP CAMERA, SUNROOF PACKAGE, ALLOY WHEELS, DVD ENTERTAINMENT PACKAGE, SIDE STEPS AND MUCH MORE. THIS LR4 HSE JUST UNDERWENT A COMPLETE OIL AND FLUID SERVICE WITHIN THE LAST 20 MILES AND IT DRIVES EVEN BETTER THAN IT LOOKS. THE SUPERCHARGED 6 CYLINDER ENGINE IS STRONG AND POWERFUL AND THE AUTOMATIC TRANSMISSION SHIFTS EFFORTLESSLY THROUGH ALL OF THE GEARS. THE STEERING IS TIGHT AND PRECISE AND THE BRAKES FEEL JUST GREAT. ALL OF THE ELECTRONICS WORK PERFECTLY AND THE AIR CONDITIONING IS ICE COLD. THIS REALLY IS A FANTASTIC LR4 HSE TO DRIVE. THE INTERIOR IS STUNNING. THE EBONY LEATHER SEATS ARE IN REMARKABLE CONDITION (SEE PICTURES) SHOWING JUST MINIMAL WEAR TO THE SEATS. THE DASHBOARD IS LIKE NEW (LOOKS GREAT WITH THE FACTORY NAVIGATION SYSTEM) AND EVEN THE CARPETS DON'T LOOK OR FEEL LIKE THEY HAVE BEEN STEPPED ON THANKS TO THE LAND ROVER FLOOR MATS THAT HAVE BEEN PROTECTING THEM. 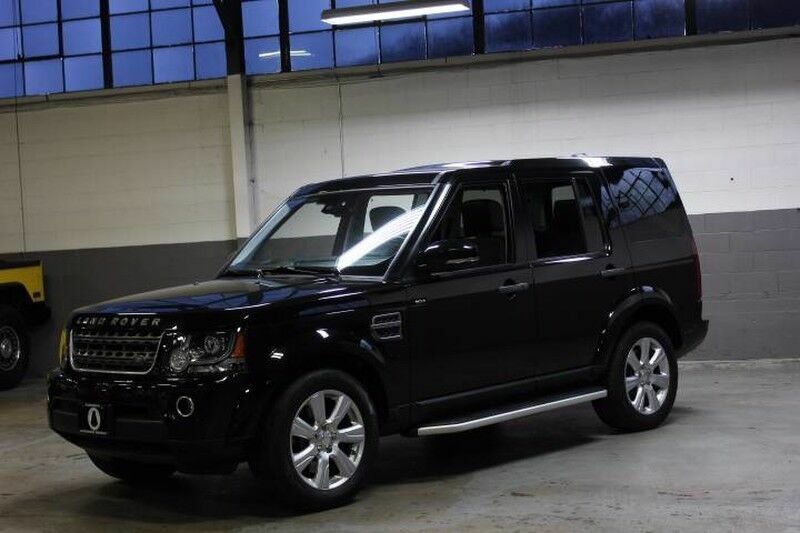 THE EXTERIOR IS WHAT REALLY SETS THIS PARTICULAR LR4 HSE APART FROM THE REST. THE SANTORINI BLACK METALLIC PAINT IS IN FANTASTIC CONDITION (SEE PICTURES) WITH NO MAJOR DENTS OR DINGS ANYWHERE AT ALL. THE PAINT IS STILL BRIGHT AND SHINY JUST LIKE IT WAS IN 2015 WHEN THIS LR4 HSE WAS ON THE SHOWROOM FLOOR AT THE LAND ROVER DEALERSHIP. ADD THE OPTIONAL 19 INCH WHEELS MOUNTED ON GREAT TIRES AND THIS LAND ROVER REALLY DOES LOOK SPECIAL. THE 2015 LAND ROVER LR4 HSE REALLY IS THE ULTIMATE SPORT UTILITY VEHICLE. IT HAS FANTASTIC LOOKS AND PERFORMANCE, 4 WHEEL DRIVE FOR ALL WEATHER AND ROAD CONDITIONS, 3 ROWS OF SEATING FOR THE ENTIRE FAMILY AND ALL OF LAND ROVER'S LEGENDARY SAFETY, LUXURY AND RELIABILITY. I HAVE OWNED A LOT OF LR4'S, BUT THIS ONE HAPPENS TO LOOK AND DRIVE AS NICE AS ANY. THE ONLY REAL "APOLOGIES" TO THIS LR4 HSE ARE A FEW TYPICAL NICKS AND LIGHT SCRATCHES (SEE PICTURES) THAT ARE TO BE EXPECTED ON ANY USED CAR.